In the kitchen in the East Frisian style, you can still make yourself comfortable on an original East Frisian sofa. The kitchen is comfortably equipped (dishwasher, freezer, fridge, stove, microwave, kettle, toaster and coffee maker). In the adjoining living room you can watch TV, listen to music, watch the latest news on the Internet (W-LAN) or just enjoy the peace and quiet on the large round couch. A barbecue and garden furniture are at your disposal on the terrace. Ironing board and iron are also available. Dino and Kettcars and bicycle trailers for toddlers are available. A bedroom with double bed (on request with extra bed toddler), a bedroom with bunk beds and another extra bed and a large bathroom with shower and toilet or an additional guest toilet are also part of the apartment. If you would like to arrive with 5 or 6 people, we can still provide the couch in the living room with 2 beds. Rhauderfehn lies between the moor and the sea and has maintained its Fehn character through its miles of canals and white bascule bridges. The Fehn- und Schiffahrtsmuseum in the beautiful Art Nouveau villa Graepel, the historic mill Hahnentange and the many traditional events such. For example, the Town Hall Festival or the Fehntjer Markt are just a few highlights in the community. The high-quality apartment Hiska-Hoff is very rural and quiet and offers plenty of space for the whole family. The apartment is located in the village Backemoor, which 2018 national winner in the competition - Our village has won the future. The municipality Rhauderfehn is located in the southern part of East Frisia inland. The apartment Hiskas-Hoff is very rural in the beautiful district Backemoor. The location is ideal for biking and hiking z. B. with the dog. 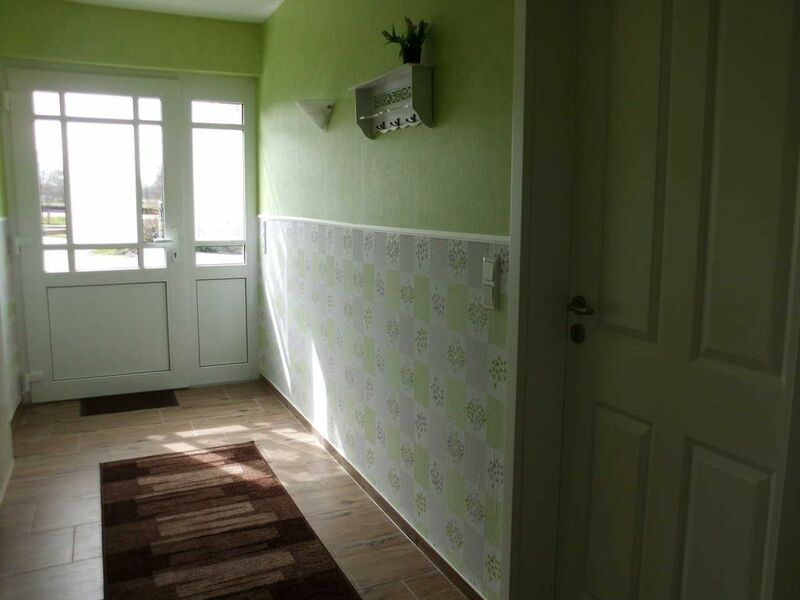 This apartment is located in the East Frisian, rural hamlet Backemoor, which 2018 national winner in the competition - Our village has future - has become.